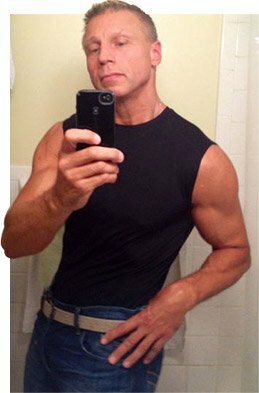 Body Transformation: Feeling Young, Ripped, And Unstoppable At 55! When his parents died, Joe felt finished. When he decided to bring himself back to life, he used fitness to rebuild his body. I&apos;ve basically tried to stay in shape all my life, but some back-to-back life events really derailed my efforts. In 2008, I lost my mom, and in 2009, I lost my dad. From there, it was just an avalanche of potato chips and ice cream at night. After the damage was done, I weighed around 270 pounds and sported a 44-inch waist. I looked like a walking ball of cholesterol. My moment of clarity occurred one day when I got out of the shower and looked at myself in the mirror. Gosh, I wasn&apos;t happy with what I was looking at. I decided right then and there to whip myself back into shape. You know what they say about getting older and it getting harder to stay in shape. I say bullcrap to that, since I (and many of my fellow transformers here) are a testament to the fact that hard work and dedication at any age reaps huge rewards. Since I had been in shape at one point in my life, I still possessed some knowledge of what I could do to work this weight off. I knew what I had to do: Fixed weights, cardio, and cleaner food. Not only did I have to change myself on the outside, I had to change myself on the inside. This transformation would be inside and out. Through sheer willpower and determination, I returned to the gym in March 12 2010. My personal story had a really positive effect on the people around me. I have become a good example to the younger guys in the gym, showing them that hard work does pay off. Some of the younger blokes would tell me that they hoped to look like me when they get older. Such a compliment! It only made me feel more motivated and pushed me towards my goals. Now I feel I am in the best shape of my life at 55 years old. I meet and know a lot of people my age. I feel particularly proud of my body when a lot of them talk about what they used to do but cannot anymore. Well, no disrespect to these people, but I am proud to say that I can still do these things. I even do ballroom dancing with my wife, ?but you won&apos;t see me on "Dancing With The Stars" anytime soon. I knew I had the muscle memory of working out from before, so getting back into the groove again was easier for me. I started with low repetitions, light weight to build muscle fibers back up and to strengthen tendons. I had to exercise more caution to avoid injury, and it took a while; I had to be patient. "At age 55, I&apos;m living proof that age is not a factor, that anything is possible." I had a modest grasp of eating healthy—you know, the basics: avoid sugar and eat your vegetables. I read more on healthy foods and asked a lot of questions at the gym. I gradually swapped unhealthy food out for a "clean" food and really increased my water intake. Every month, I replaced a "bad" food that I used to eat with a clean food. Within twelve months, I basically ate only unprocessed and whole foods. Some days I just didn&apos;t feel like working out. I never beat myself up over it, but instead I cut down my cardio and workout sets. Getting even a little bit of work and sweat in makes me glad that I put in the effort to go to the gym. To me, working out is the easy part; eating clean is hard even though it&apos;s the major factor in improving myself. A lot of people could work out for years but never change their body composition. That&apos;s because they don&apos;t get the food part of the health equation right. Eat clean; it&apos;s worth it. At age 55, I&apos;m living proof that age is not a factor, that anything is possible. I employ "pyramid" style sets and do at least four sets per exercise, including a warm-up for each body part. My philosophy is to change things up and making things more challenging by shortening rest periods or slowing down my movements. Keep things simple by focusing on form, breathing, and squeezing. Warm up and stretch before training legs. "Stay away from negative people. They only make you stray from your goals." My age definitely made things challenging at times, but I learned to let fitness become part of my daily routine. I make sure it&apos;s part of my schedule for the day. Sticking to a proper diet that promotes a leaner body and positive gains was the toughest for me. It&apos;s a process of figuring out timing and knowing your own body: what can it process well and how much can it process? Because my metabolism isn&apos;t what it used to be, I watch my carbohydrates at night since I&apos;m less active. I find supplements help me when I train hard. I also try to eat a little more protein to keep my muscle mass. As they say, everybody is different so what works for me may not work for you. I&apos;ve been very happy with my results thus far and the way I feel so I plan on continuing this fitness path as a healthy lifestyle. I still have physique goals to attain. Some day I&apos;d also like to use my experience and knowledge to help others by becoming a certified personal trainer. As far as other lofty goals, you might even one day see me in a Subway commercial (only kidding). Stay away from negative people. They only make you stray from your goals. I believe the highly coveted "fountain of youth" can be found in the gym. People seem to forget that exercise and eating right don&apos;t only transform your outward appearance, but they transform you internally by improving your blood pressure and cholesterol and protecting you from scary diseases. I don&apos;t know about you or the next guy, but I am after longevity, feeling good, and getting a sweat on. I love their articles and information on new supplements. The articles are a real source of inspiration. Keep up the good work! Celena was stuck in neutral until she hired a coach who organized her fitness future. Now she competes against the NPC&apos;s best at age 40. See how you can too! Body Transformation: Paul Thorpe Defeated Sickness With Fitness! 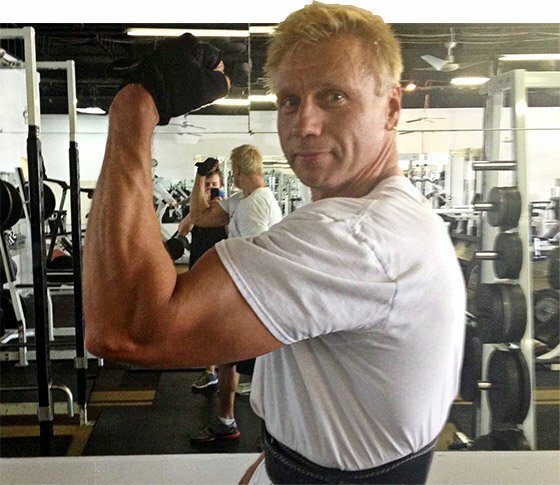 Paul overcame heart attack and blood clot scares with a dedicated fitness plan. See how this 49-year-old bulked up and stays healthy and leveled on the bodybuilding stage! Body Transformation: Thom Zwawa Fought Diabetes With Fitness! Thom lost 105 pounds and lassoed type 2 diabetes with a relentless dose of training and nutrition. Get the powerful plans he used to inject life into his body!